Metro-Phoenix AARP members would do well to take advantage of this opportunity to share your thoughts, and hear what’s going on in Washington, with regard to Medicare and Social Security. 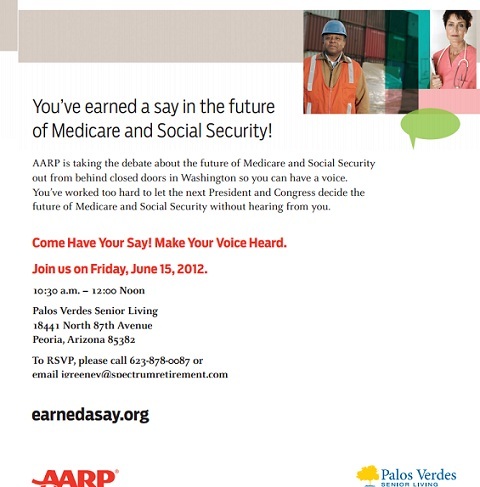 If you missed the gathering in Surprise, here’s another opportunity, at Palos Verdes Senior Living in Peoria. I’ll be there blogging and tweeting it all, but I’d love to meet you there too.